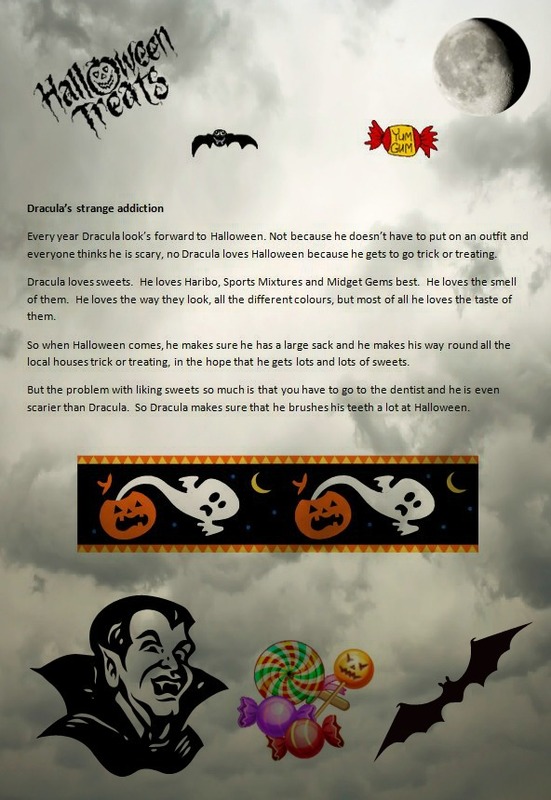 ini is also joining in with the Spooky Scribe team and below is his story, which the team at Asda are going to to add to a book for him to keep. So without further ado, I present you Mini’s story, which he typed up himself and added the clip art too (he is six and I am in awe of his computer skills)! I guess you can make out from this story, that Mini has a sweet tooth.